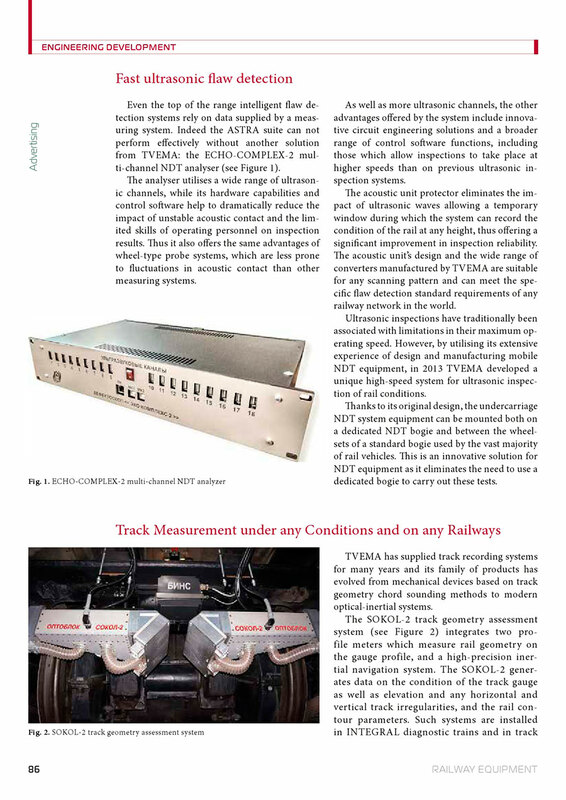 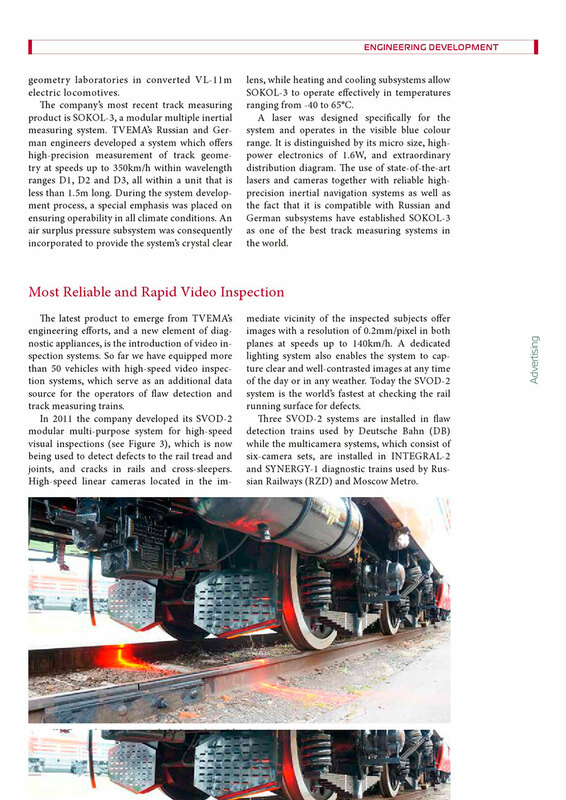 Data from railway infrastructure diagnostic systems plays a critical role in informing the maintenance tasks which help to sustain a safe and efficient railway. 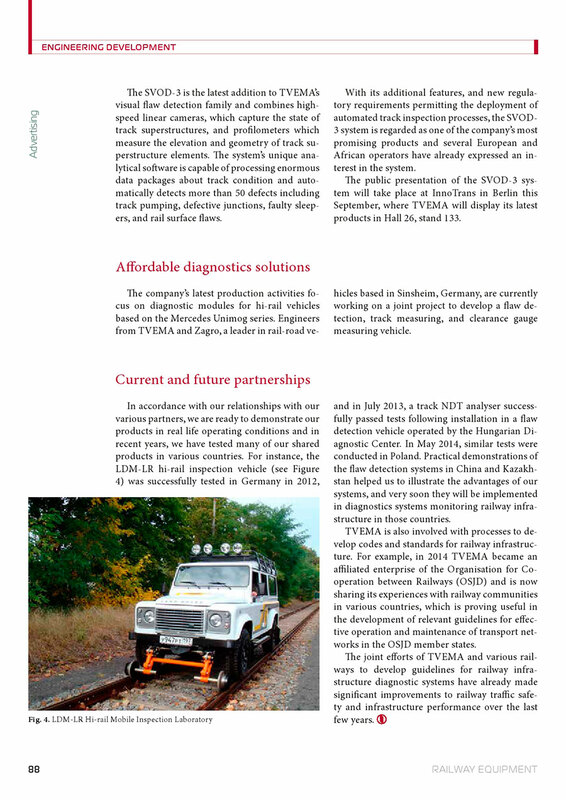 In the context of increasing demands on infrastructure from very highspeed railway traffic and longer and heavier freight trains, diagnostics has never been more crucial. 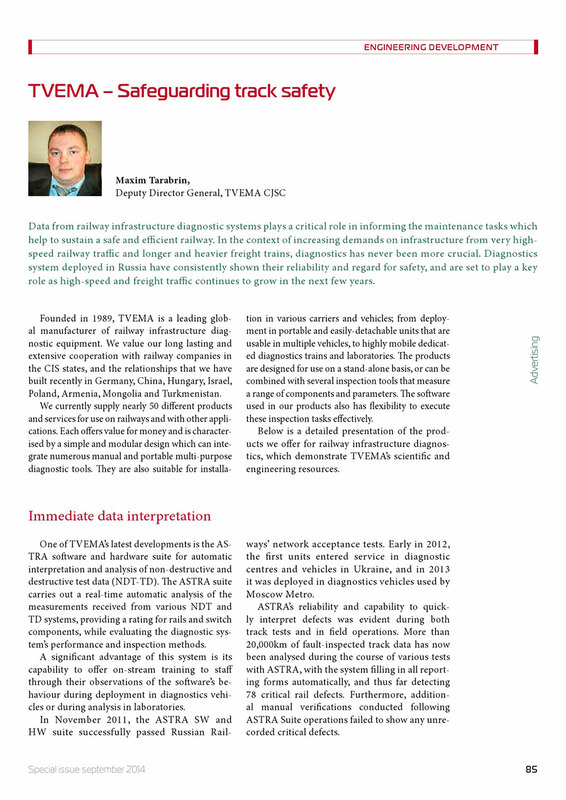 Diagnostics system deployed in Russia have consistently shown their reliability and regard for safety, and are set to play a key role as high-speed and freight traffic continues to grow in the next few years.